Despite the fact that he used to be an idol trainee who was going to debut as one of the Boyfriend members, Park Sun-ho decided to start chasing his dream to be an actor. Starting with a brief appearance as the model of SISTAR music videos, he moved on to supporting roles in lots of dramas. Park Sun-ho was later cast several times in main roles, as well, demonstrating his growth as an actor. In addition, Park Sun-ho was nominated for Best New Actor in 2016 and 2017 on two different broadcast stations. Even though he didn’t win, the nominations mean a lot to this rookie actor, and he was grateful to be placed among other newcomers in the industry. 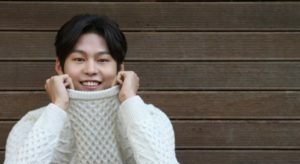 In this article, Channel-Korea will tell you all about Park Sun-ho, which includes his full profile, the list of his television dramas and movies, his ideal type, his recent news, and his Instagram feed. So, keep reading! As seen in his profile, Park Sun-ho was born in 1993. According to the Korean Age System, in 2018 he’s 26 years old, although he’s only 25 according to the International Age System. Besides Park Sun-ho, there are a number of other Korean actor and actresses who were born in 1993 as well, including Lee Hyun-woo, Bae Noo-ri, Yoo Seung-ho, T-ara’s Park Ji-yeon, Park Bo-gum, Apink’s Jung Eun-ji, and Seo Kang-joon. 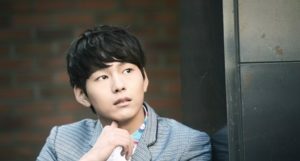 Park Sung-woong is considered to be both a tall and slim man, as his height is 187 cm, whereas his weight is 72 kg. As has been explained in brief, Park Sun-ho is a rising actor who used to be an idol trainee. 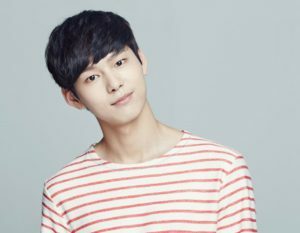 Supposedly debuting with Boyfriend, Park Sun-ho quit to become an actor. His decision and effort in making his dream come true was a sound one, as he’s currently known as a promising young actor. In this section, Channel-Korea has compiled the list of dramas, movies, and music videos that Park Sun-ho has starred and appeared in. Just like other celebrities, Park Sun-ho’s private life is a subject of curiosity for his fans. In an interview, the actor spoke in detail about the traits of a woman who would be his lover, “I want to meet a polite person who is respectful to the elders. She is someone who has kindness and goodness aura”. 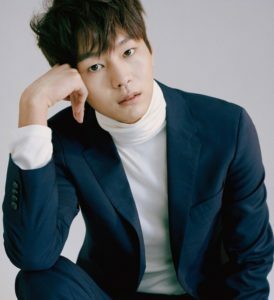 In addition, Park Sun-ho said that his lover should be witty, because he’s a serious person, “I am not funny, so I would like to meet someone who is older than me”. Ooh, don’t you wonder about the lucky girl who is able to steal Park Sun-ho’s heart, dear readers? 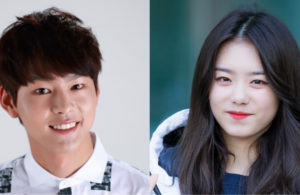 In mid-August, 2018, it was reported that Park Sun-ho has been cast as the main actor of a new Animax drama called The Best Chicken, along with former I.O.I member and rising actress Kim So-hye and actor Joo Woo-jae. The drama, which is the collaboration between the Koreans and Japanese, tells the story of an office worker who dreams of owning a chicken restaurant (acted by Park Sun-ho), and an aspiring webtoon artist who runs a public bath (acted by Kim So-hye). Supposedly, The Best Chicken started filming in mid-September and will air at the end of the year. Here’s Details About BTS Universe and Smeraldo Books That All ARMY Have to Know!